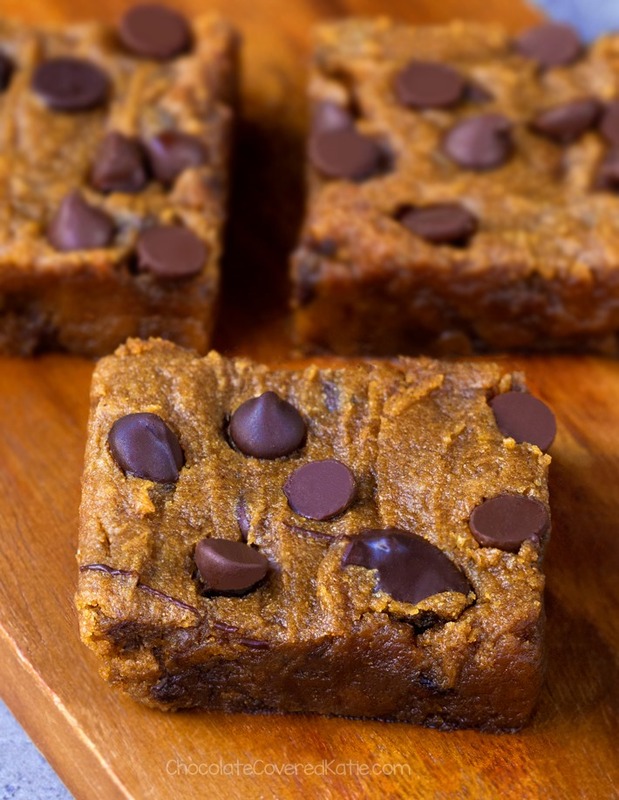 These chocolate chip pumpkin bars are the perfect easy dessert for Fall! They’re like a cross between chocolate chip cookies and homemade pumpkin pie. I wasn’t sure if September was too early for pumpkin recipes, but when I asked on Instagram, everyone’s response was a resounding Please start posting pumpkin recipes, like, RIGHT NOW!!! I took that as a good sign for getting this recipe up as soon as possible. Apparently the internet really loves pumpkin. Who knew? Seeing that Starbucks decided to bring back their infamous Pumpkin Spice Lattes in August, which then caused many other coffee shops and restaurants to follow suit, I guess I’m actually late to pumpkin season this year. (Seriously, Starbucks? August??) 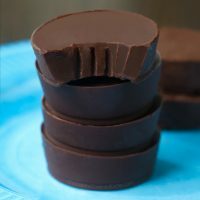 Figured now that the weather is finally getting cooler, I’d make up for it in true Chocolate-Covered-Katie fashion – with both pumpkin and chocolate. 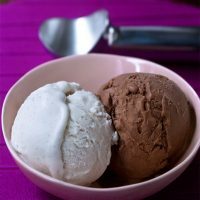 Almond Butter Version: Almond butter has a neutral flavor that works really well here, and it’s my top pick for this recipe. 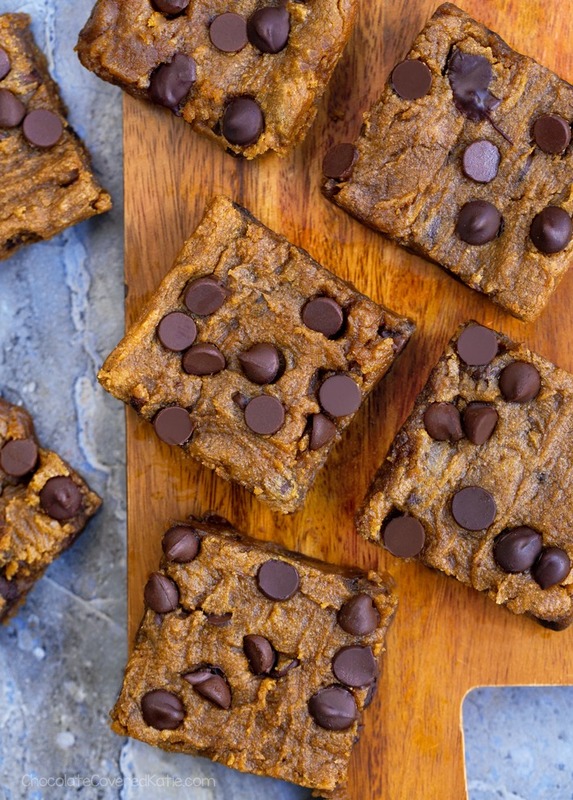 Using almond butter instead of oil adds fiber, vitamins, healthy fats, and nutrition to the oil-free pumpkin bars. 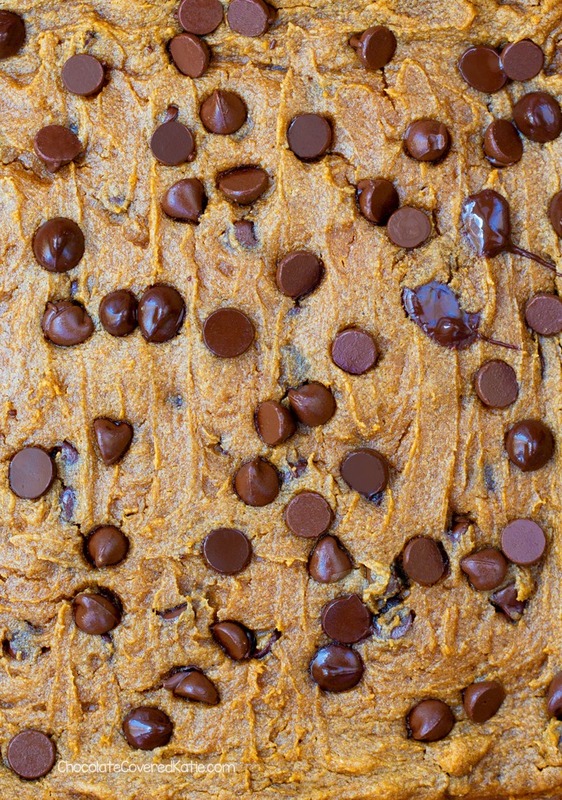 Peanut Butter Version: If you love both peanut butter and pumpkin, you might want to try the recipe with peanut butter. It definitely will have a peanut butter flavor though, so be sure to keep that in mind. Sunbutter Version: This is a great option if you need bars that are more allergy-friendly and can be served in a peanut-free environment. 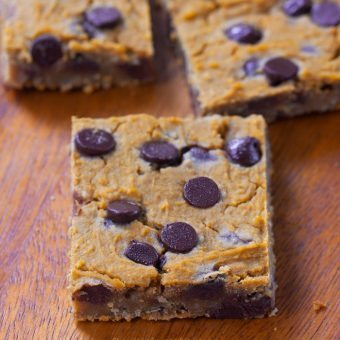 Readers have mentioned in my similar recipe for Ryan Reynolds Blondies that the bars turn kind of a funny color if made with sunflower butter but that they still taste just as delicious. Other Nut Butters Or Butter Spreads: I haven’t tried the recipe using anything else but I’d imagine any nut butter—such as pecan, walnut, or cashew—would work here. I’d also think a regular butter spread such as Earth Balance would be fine to sub but haven’t tried it yet. If you do experiment, be sure to report back with results! 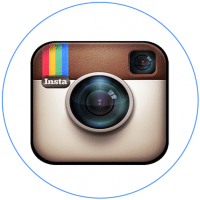 Preheat the oven to 350 F. Line a 9×13 pan with parchment. Stir all ingredients together to form a batter. Add more milk of choice if needed to achieve a cookie-dough-like batter – the amount will depend on the flour and type of nut butter you use. Smooth the batter into the pan. If desired, press more chocolate chips on top. Bake 15-20 minutes on the center rack. They’ll look way underdone – let them cool for at least an hour, during which time they’ll firm up, and they firm up even more overnight if covered loosely on the counter. Previous Post: « Peanut Butter Pie – Just 5 Ingredients! 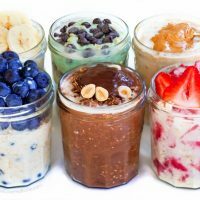 I would love to try these, but 2 cups of almond butter seems a bit too much? Typo? 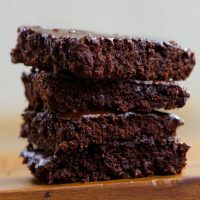 It’s correct – the almond butter is replacing both the oil and the bulk of the flour in traditional blondie recipes, and it also makes a large amount (so comes out to less than a tbsp per bar). You can do a half recipe in an 8×8 if you’d prefer and that still works fine! True! I tried and it was too wet. These bars look amazing! 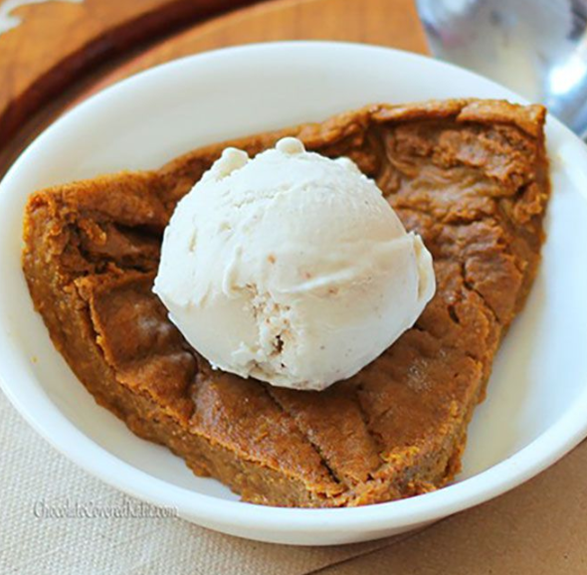 The perfect fall treat! Just made these. Fantastic. Thanks for a great combination. What is a good substitute for almond butter if I don’t have it on hand? Could I use organic peanut butter? Also I am “clean eating” do you think I could replace the sugar with raw honey? It looks like a 1/2 cup should substitute for 1 cup of sugar. Wondering if anyone else made these clean…. Honey would make these bars too gooey–I would recommend 3/4 cup either coconut sugar or maple sugar if you have any on hand. If not, use honey (or maple syrup; it’s actually healthier and I would imagine would compliment a pumpkin flavor really well) and you likely won’t need to add the milk. Also looking to replace the sugar with an alternative. Perhaps 1/3 C apple sauce and 1/2 C maple syrup and no milk? 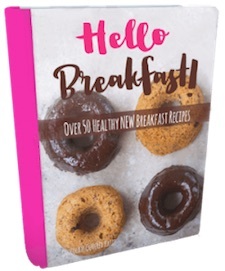 I was also wondering about alternative unrefined sugar? Sucanat is an unrefined sugar that works really well here. Or coconut sugar. I’m such a sucker for anything with pumpkin or with chocolate! 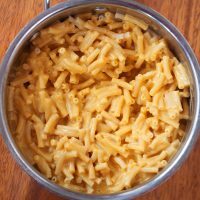 This recipe is just too perfect! I made these today.i used 2/3 cashew butter (tto use up the jar) and 1/3 almond butter. Since we don’t usually buy spice mixes like pumpkin pie spice, I looked it up on the Internet and made it from spices I already had. I also used whole grain spelt flour. Since we have been trying to eat less sweeteners, I cut the sugar in half and used sucanat. They are plenty sweet for us but if you prefer a seeter version, I would suggest trying 3/4 cup of sugar and I think you would be happy. 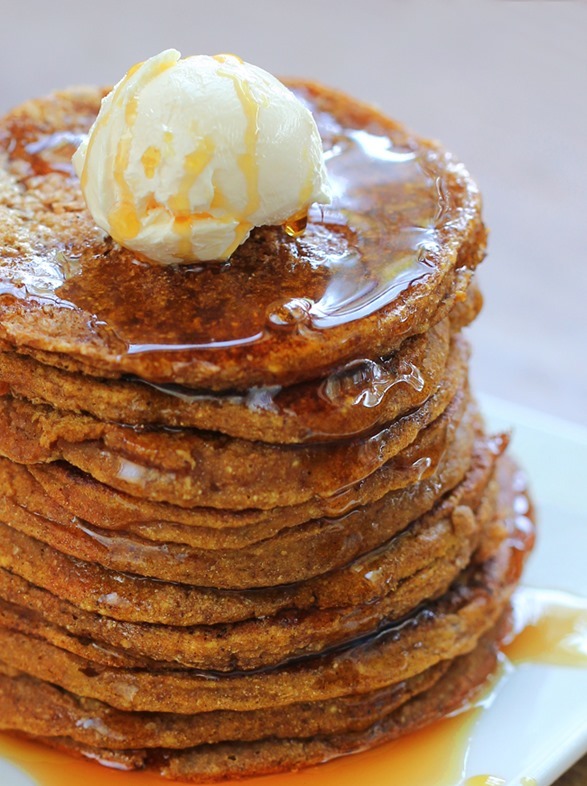 I may try them with maple syrup (and no or much less almond milk) next time. My only error was that when I pressed my timer to turn it on I must have hit it twice very quickly so I actually turned it on and off at the same time. After at least 25 minutes I looked to see how much more time before I could take them out and discovered they were most likely over cooked. 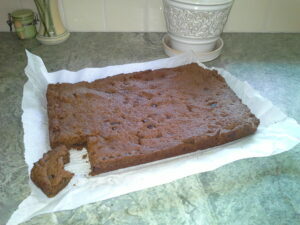 After cooling for an hour I cut one. While not terribly gooey they are also not dried out. We voth like them. I posted a picture but it doesn’t appear to have uploaded. I’ll try again here. THESE WERE AWESOME!!!!!!! 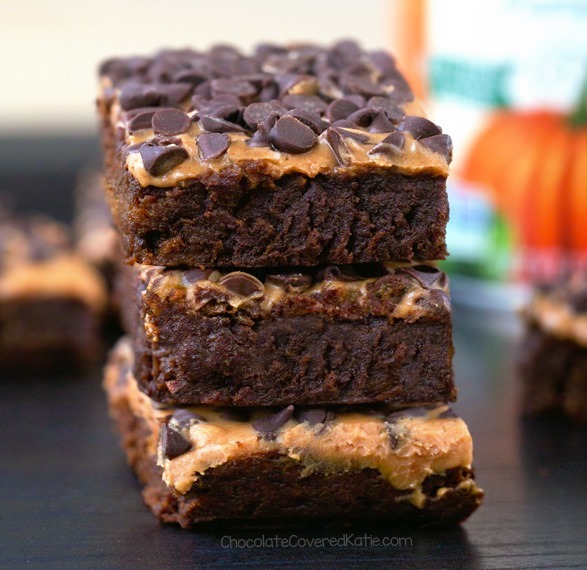 I halved the recipe so i didn’t have so many bars, and added less sugar and more pumpkin and chocolate, and they turned out so gooey and delish! Thanks KAtie! These are DELICIOUS! 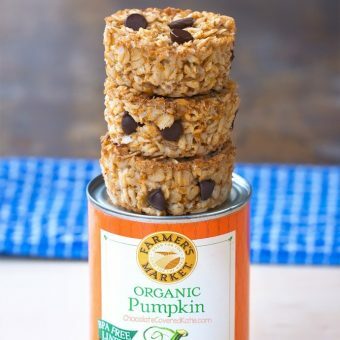 I love making things with pumpkin in them, and adding nut butter makes it even better. Yum! What can I replace the sugar with? I noticed some mentioned removing milk if maple syrup is used, wondering why? Can’t wait to try this! I messed up at the store and forgot almond flower… can I use coconut flower? If yes.. same measurement? Probably not in the same quantity because of coconut flour’s tendency to absorb liquid like a sponge. But maybe if you use much less – be sure to report back if you experiment! 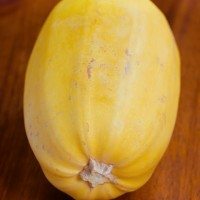 For the pumpkin puree, do I cook the pumpkin first? Or put it in the oven? Or do I just put it in a blender raw? Help please! Hi, I’d use canned pumpkin puree. Or if using fresh then yes, definitely roast it first and then puree. 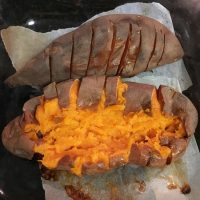 You can also do the same thing with sweet potato if it’s easier. Wow these are amazing! I made them with cashew butter and almond flour. 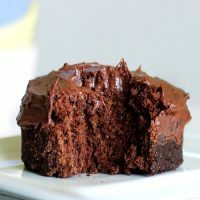 They taste very delicious and they’re super moist. My only complaint is that 2 cups of nutbutter is around $7. It’s a full jar! 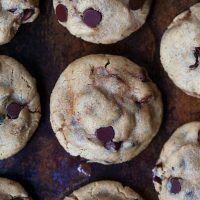 So this is an expensive recipe but it’s a great way to use up any nutbutter you have laying around. Yup most flours will work, just probably not coconut. I made these today (used almond butter and spelt flour). They firmed up well in the parchment paper and sitting for few hours, however when I tried to get them out of the pan they are very sticky and don’t stay in bar form. Did I do something wrong or is this how they are? 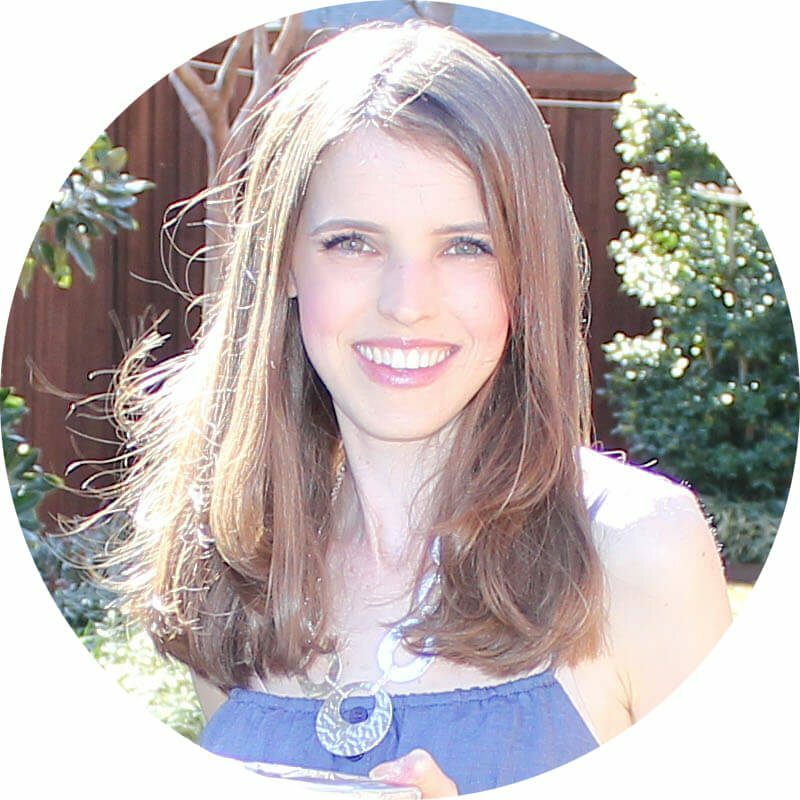 How did Katie get them in a square as in the picture? Thank you, these are delicious! I didn’t want to use an entire jar of almond butter, so I used ~ 1 cup. I also substituted coconut flour and coconut sugar. I do think the coconut flour made the texture a bit more gritty, but tasty nonetheless. These definitely firm up more if left in the fridge for a day or so. 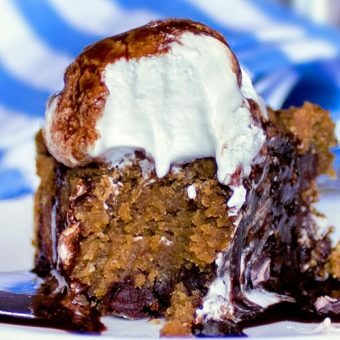 Super yummy and goey goodness. Indeed, while sunbutter is a tasty option for the nut butter, it appears to provide interesting visual effects, ha! Regardless, the recipe was a hit. Didn’t even use sugar, just erithrytol. 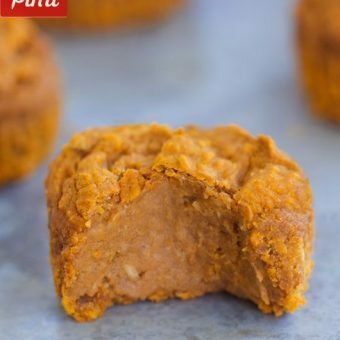 I made these last night and whilst they’re yummy, I used 1 cup peanut butter and 1 cup vegan spread and found that they’re much cakier than I think they’re meant to be. They fall apart easily (even after browning in the oven, left to cool and fridged overnight) and are super soft, so I’m looking forward to making them again with the full 2 cups of nut butter! 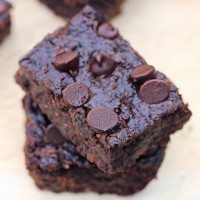 Other than though they are delish 😋 I also used 1/2 cup caster and 1/4 cup stevia in place of the 1 cup sugar, and the sweetness is spot-on with the choc chips in too!